The U.S. Environmental Protection Agency (EPA) is committed to protecting public health by improving air quality and reducing air pollution. This annual report presents the trends in the nation's air quality, and summarizes the detailed information found at EPA's AirTrends website . Please scroll down to view the annual report, use the top menu to jump to a topic or start by viewing the tutorial video . If encountering any issues viewing content, update or try opening the website in another browser. Cleaner air prevents tens of thousands of premature deaths, reduces heart attacks and hospital visits, alleviates hundreds of thousands of child asthma attacks, and prevents millions of lost school and work days. During this same period the U.S. economy continued to grow, Americans drove more miles and population and energy use increased. Tip Click pollutant names in the chart legend to hide or include trend lines, and hover over any line to display percentages above or below the most recent standard. Click the Emissions button below to open a popup window. Line chart depicting overall decline in national air quality concentration averages for the criteria air pollutants from 1990 to 2015. Air pollution consists of gas and particle contaminants that are present in the atmosphere. Gaseous pollutants include sulfur dioxide (SO2), oxides of nitrogen (NOx), ozone (O3), carbon monoxide (CO), volatile organic compounds (VOCs), certain toxic air pollutants and some gaseous forms of metals. Particle pollution (PM2.5 and PM10) includes a mixture of compounds that can be grouped into five major categories: sulfate, nitrate, elemental (black) carbon, organic carbon and crustal material. Some pollutants are released directly into the atmosphere while other pollutants are formed in the air from chemical reactions. Ground-level ozone forms when emissions of NOx and VOCs react in the presence of sunlight. Air pollution impacts human health and the environment through a variety of pathways. 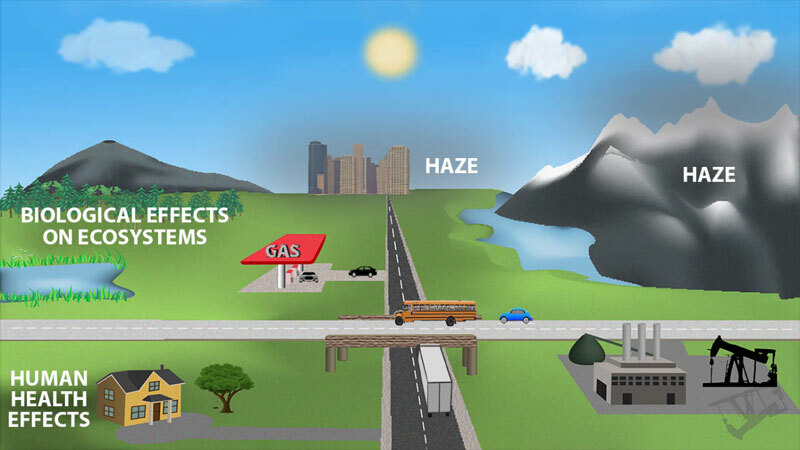 20 second animation showing air pollution pathways. Depicts cycle of sources, transport and transformation, deposition and effects. Your browser does not support the video, please update your browser or try another browser. non-road mobile sources (such as recreational and construction equipment, marine vessels, aircraft and locomotives). As the chart shows, sources emit different combinations of pollutants. For example, electric utilities release SO2, NOx and particles. Bar chart depicting total national emissions and percentages by source category (stationary fuel combustion, industrial and other processes, highway vehicles and non-road mobile). Numerous scientific studies have linked air pollution to a variety of health problems. People at greater risk for experiencing air pollution-related health effects may, depending on the pollutant, include those with heart and respiratory diseases and older adults and children (30-second Healthy Heart video ). Health Effects Ozone exposure reduces lung function and causes respiratory symptoms, such as coughing and shortness of breath. Ozone exposure also aggravates asthma and lung diseases such as emphysema leading to increased medication use, hospital admissions, and emergency department visits. Exposure to ozone may also increase the risk of premature mortality from respiratory causes. Short-term exposure to ozone is also associated with increased total non-accidental mortality, which includes deaths from respiratory causes. Environmental Effects Ozone damages vegetation by injuring leaves, reducing photosynthesis, impairing reproduction and growth and decreasing crop yields. Ozone damage to plants may alter ecosystem structure, reduce biodiversity and decrease plant uptake of CO2. Ozone is also a greenhouse gas that contributes to the warming of the atmosphere. Health Effects Exposures to PM, particularly fine particles referred to as PM2.5, can cause harmful effects on the cardiovascular system including heart attacks and strokes. These effects can result in emergency department visits, hospitalizations and, in some cases, premature death. PM exposures are also linked to harmful respiratory effects, including asthma attacks. Environmental Effects Fine particles (PM2.5) are the main cause of reduced visibility (haze) in parts of the U.S., including many national parks and wilderness areas. PM can also be carried over long distances by wind and settle on soils or surface waters. The effects of settling include: making lakes and streams acidic; changing the nutrient balance in coastal waters and large river basins; depleting the nutrients in soil; damaging sensitive forests and farm crops; and affecting the diversity of ecosystems. PM can stain and damage stone and other materials, including culturally important objects such as statues and monuments. Health Effects Breathing elevated levels of CO reduces the amount of oxygen reaching the body’s organs and tissues. For those with heart disease, this can result in chest pain and other symptoms leading to hospital admissions and emergency department visits. Environmental Effects Emissions of CO contribute to the formation of CO2 and ozone, greenhouse gases that warm the atmosphere. Health Effects Depending on the level of exposure, lead may harm the developing nervous system of children, resulting in lower IQs, learning deficits and behavioral problems. Longer-term exposure to higher levels of lead may contribute to cardiovascular effects, such as high blood pressure and heart disease in adults. Environmental Effects Elevated amounts of lead accumulated in soils and fresh water bodies can result in decreased growth and reproductive rates in plants and animals. Health Effects Short-term exposures to NO2 can aggravate respiratory diseases, particularly asthma, leading to respiratory symptoms, hospital admissions and emergency department visits. Long-term exposures to NO2 may contribute to asthma development and potentially increase susceptibility to respiratory infections. Health Effects Short-term exposures to SO2 are linked with respiratory effects including difficulty breathing and increased asthma symptoms. These effects are particularly problematic for asthmatics while breathing deeply such as when exercising or playing. Short-term exposures to SO2 have also been connected to increased emergency department visits and hospital admissions for respiratory illnesses, particularly for at-risk populations including children, older adults and those with asthma. Contributes to particle formation with associated health effects. Environmental Effects Oxides of nitrogen react with volatile organic compounds to form ozone and also react with ammonia and other compounds to form particle pollution resulting in associated public health and environmental effects. Deposition of nitrogen oxides contributes to the acidification and nutrient enrichment (eutrophication, nitrogen saturation) of soils and surface waters. These effects can change the diversity of ecosystems. Deposition of sulfur oxides contributes to the acidification of soils and surface waters and mercury methylation in wetland areas. Sulfur oxides cause injury to vegetation and species loss in aquatic and terrestrial systems and also contribute to particle formation with associated environmental effects. Sulfate particles contribute to the cooling of the atmosphere. Health Effects Air toxics may cause a broad range of health effects depending on the specific pollutant, the amount of exposure, and how people are exposed. People who inhale high levels of certain air toxics may experience eye, nose and throat irritation, and difficulty breathing. Long term exposure to certain air toxics can cause cancer and long-term damage to the immune, neurological, reproductive, and respiratory systems. Some air toxics contribute to ozone and particle pollution with associated health effects (see above). Environmental Effects Some toxic air pollutants accumulate in the food chain after depositing to soils and surface waters. Wildlife and livestock may also be harmed with sufficient exposure. Some toxic air pollutants contribute to ozone and particle pollution with associated environmental and climate effects (see above). For more than forty years, the Clean Air Act has cut pollution as the U.S. economy has grown. By 2015, the combined emissions of the six common pollutants (PM2.5 and PM10, SO2, NOx, VOCs, CO and Pb) dropped 71 percent since 1970. This progress occurred while the U.S. economy continued to grow, Americans drove more miles and population and energy use increased. Line chart depicting comparisons of growth areas such as gross domestic product, vehicle miles traveled, population, energy consumption, carbon dioxide emissions versus the decline in the aggregate emissions of the six common pollutants from 1970 to 2015. Your browser does not support the video, please update or try another browser. Animated video background showing NASA satellite imagery of declining nitrogen dioxide levels across the contiguous 48 states from 2005 to 2014. Today Americans breathe cleaner air and face lower risks of premature death and other serious health effects. Based on NAAQS dropdown selection above, a synchronized set of charts (air quality concentration chart, emissions stacked area chart and USA map of monitor locations) display. The first is a line chart depicting the overall decline in national air quality concentrations for criteria air pollutants from 1990 to 2015. The chart provides national concentration averages, 10th and 90th percentiles, and minimum and maximum values for each year. The blue band shows the distribution of air pollution levels among the trend sites, displaying the middle 80 percent. Ninety percent of sites have concentrations below the top line, while ten percent of sites have concentrations below the bottom line. Based on previous NAAQS dropdown selection: Stacked area chart depicting the corresponding national air emissions by the source categories of stationary fuel combusion, industrial and other processes, highway vehicles and non-road mobile from 1990 to 2014. Charts Click and drag the green circle to manually change the year. Click on emission tabs to change the emissions chart. Pressing the play button animates the synchronized charts and map cycling through 1990 to 2015 showing how both concentrations and emissions are changing, with a declining overall trend, during this period. Based on previous NAAQS dropdown selection: USA map of corresponding monitor locations with information for each monitor such as Air Quality System (AQS) site ID, State, CBSA, annual concentration data and year. Animation Click the play/pause button to start and pause animation. Click and drag the gray square in the slider to manually change the year. Map Click on a monitor to display annual concentration data. Double click to zoom in. Click the home button to reset. The different components that make up particle pollution come from specific sources and are often formed in the atmosphere. The major components, or species, are elemental carbon (EC), organic carbon (OC), sulfate and nitrate compounds, and crustal materials such as soil and ash. As previously shown, PM2.5 concentrations are declining. Assessing particle pollution concentrations along with composition data aids in understanding the effectiveness of pollution controls and in quantifying the impacts to public health, regional visibility, ecology and climate. Select a PM2.5 speciation trend and double click on any darker area to display county information. Lighter areas do not have speciation monitors, thus no data reported. 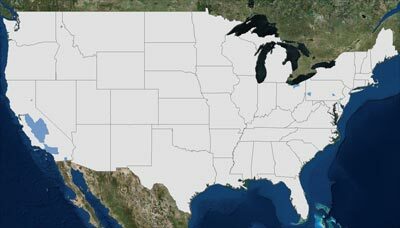 USA map with county boundaries depicted. Clicking on a county monitoring PM2.5 speciation opens a stacked bar graph depicting the 2005 to 2014 trends in PM2.5 speciation by component: sulfate, nitrate, elemental carbon, organic carbon, crustal material and sea-salt. The seasonal speciation map and charts differ by including four bar charts (winter, spring, summer fall) for each county. The Air Quality Index (AQI) relates daily air pollution concentrations for ozone, particle pollution, NO2, CO and SO2 to health concerns for sensitive groups and for the general public. A value of 100 corresponds to the national air quality standard for each pollutant. Values above 100 are considered unhealthy – first for certain sensitive groups of people, then for everyone as the AQI values increase. Fewer unhealthy air quality days means better health, longevity, and quality of life for all of us. Shown are the number of days in which the combined ozone and PM2.5 AQI was above 100 for the years 2000-2015. 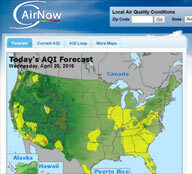 Click on the bar chart, or these links, to view the AQI retrospective reviews: PM2.5 and ozone . 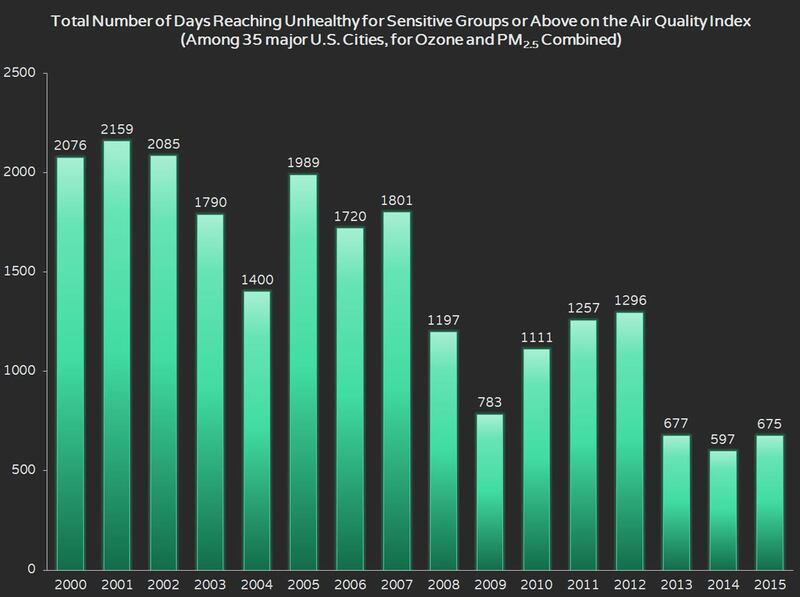 Image of bar chart depicting the declining number of days reaching unhealthy for sensitive groups, or above, on the air quality index from 2000 to 2015. EPA works collaboratively with state, local and tribal agencies to identify areas of the U.S. that do not meet the national ambient air quality standards (NAAQS). These areas, known as nonattainment areas, must develop plans to reduce air pollution and attain the NAAQS. Consistent with national averages, air quality in nonattainment areas has also improved. Since 2010, there were no violations of the standards for CO and NO2. Shown are thumbnail images of the NAAQS nonattainment area maps. Click on any map to view a larger interactive version. Weather plays an important role in the formation of ozone, a pollutant that can affect health even at relatively low levels. A large number of hot, dry days can lead to higher ozone levels in any given year, even if ozone-forming emissions remain unchanged. To better evaluate the progress and effectiveness of ozone precursor emission reduction programs, EPA uses a statistical model to estimate the influence of weather on ozone formation. 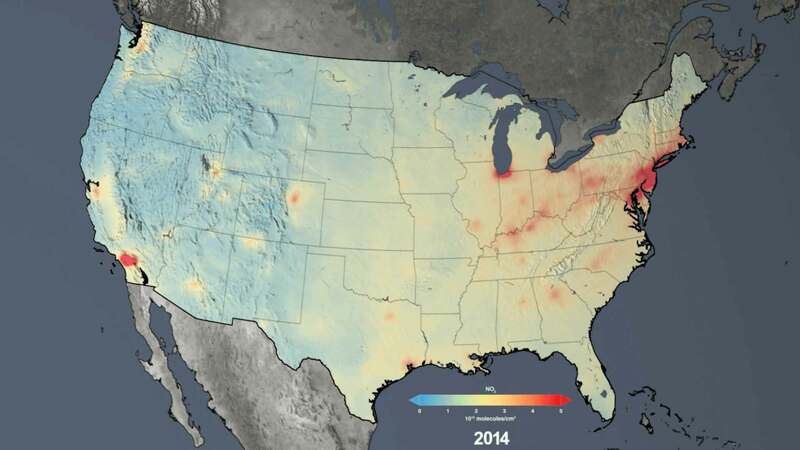 After accounting for the effects of weather, EPA's analysis confirms that ozone levels have continued to improve across the U.S. in recent years due to emission reduction programs. For more information please visit the AirTrends website . Section includes two line charts depicting national ozone trends for both urban and rural areas from 2000 to 2015. Each chart compares the change in ozone levels when adjusted for weather influences and when unadjusted for weather. Both show an overall decreasing trend in ozone concentrations for the time period. The same fine particles that are linked to serious health effects and premature death can also significantly obscure spectacular vistas in our nation's most treasured parks and wilderness areas. The National Park Service celebrates 100 years on August 25, 2016! Together, EPA and other agencies monitor visibility trends in 155 of the 156 national parks and wilderness areas (i.e., Class I areas), where clear views are an important value for visitors. The map indicates a number of Class I areas have improving visibility or decreasing haze (indicated by the downward pointing arrows). To learn more about visibility in parks and view live webcams please visit this National Park Service website . Map of USA depicting significant improving visibility trends at the majority of the 155 national parks and wilderness areas monitored on 20% cleanest days. EPA works with state, local and tribal governments to reduce emissions of the 187 toxic air pollutants suspected to cause cancer or other serious health and environmental effects. Ambient monitoring data show that some of the toxic air pollutants of greatest widespread concern to public health, such as benzene, 1,3-butadiene and several metals, are declining at most sites. The trend lines on the map are plotted on the same x (year) and y (mean concentration) axes and are directly comparable to each other. Sites may show high or low values in the short-term (spikes); however, colors indicate the long-term statistical trend direction: decreasing, increasing and no trend. Use the dropdown menu to select a pollutant and hover on trend lines to view additional information. Click and drag over an area to zoom in. View a tabular summary of air toxics trends. The NATTS trends table, included as a supplementary visual to the USA map, depicts air toxics mean concentration trends at the 27 national air toxics trends stations from 2003 to 2014. 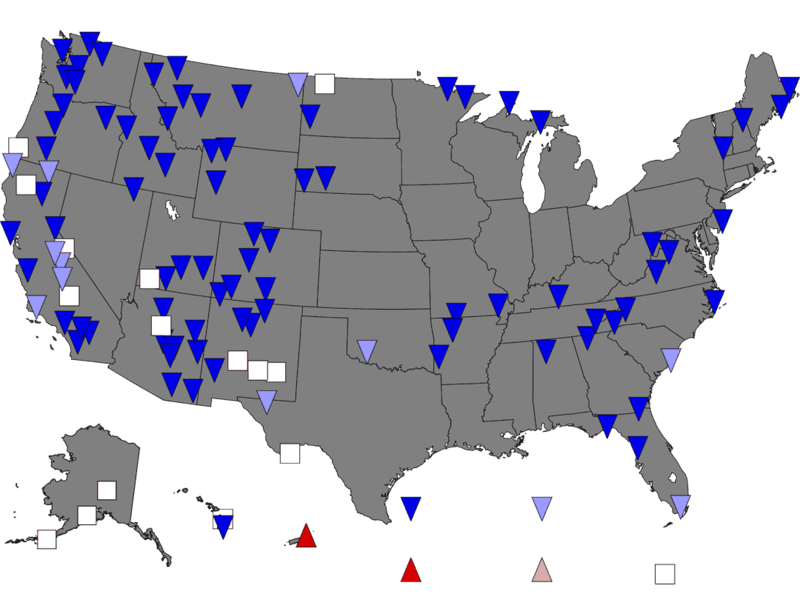 A vast majority of stations show decreasing or no trend in air toxics across the country. 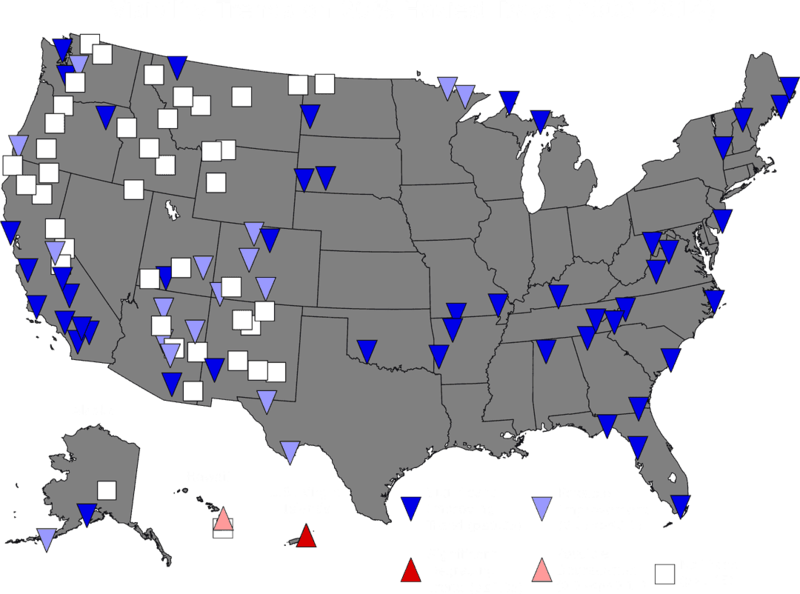 USA map depicting air toxics mean concentration trends at the 27 national air toxics trends stations from 2003 to 2014. A vast majority of stations show decreasing or no trend in air toxics across the country. In 2015, despite significant improvements in air quality, approximately 127 million people lived in counties that exceeded the revised national ground-level ozone standards. In 2015, EPA strengthened the national air quality standards for ground-level ozone to 70 parts per billion (ppb) averaged over 8 hours. Approximately 127 million people in 241 counties had monitors exceeding the revised ozone standard in 2015. However, in 2025 and beyond EPA projects these numbers will fall to 20 million people across 18 counties. Federal rules, including the Cross-State Air Pollution Rule, Mercury and Air Toxics Standards, the Tier 3 Vehicle Emissions and Fuels Standards, and the Clean Power Plan, will help reduce ozone-forming pollution in the years ahead. Toggle between the tabs at the top of the map to show 2015 versus projected 2025 information. Click either map to view a larger interactive version. View a PDF factsheet about efforts to reduce ozone in California. Our Nation's Air continues to Improve. However, work must continue to ensure healthy air for all communities. EPA and our partners at the state, tribal and local levels will continue to work to understand and address the increasingly complex air quality problems we face. 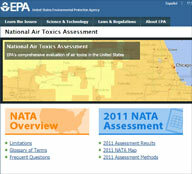 Please visit other EPA air quality related websites. Use the share button at the top to share this report with others, and follow the latest EPA activities to protect human health and the environment using the links below. Line chart depicting decline in national emissions from 1990 to 2014. The chart is a visual representation of the following text. In addition, from 1990 to 2014 emissions of air toxics declined by 68 percent, largely driven by federal and state implementation of stationary and mobile source regulations. *Wildfire data excluded for all pollutants except for NH3 pre-2002; PM emissions also exclude miscellaneous emissions (i.e., agricultural dust and prescribed fire data). Visit the emissions trends website to learn more. The Clean Air Act requires EPA to set national ambient air quality standards (NAAQS) for specific pollutants to safeguard human health and the environment. These standards define the levels of air quality that EPA determines are necessary to protect against the adverse impacts of air pollution based on scientific evidence. EPA has established standards for six common air pollutants, which are referred to as “criteria” pollutants. EPA and states track direct emissions of air pollutants and emissions that contribute to the formation of key pollutants, also known as precursor emissions. 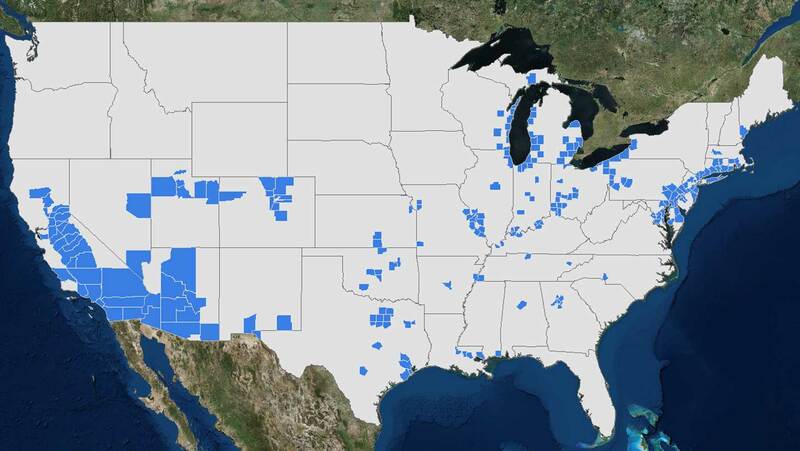 Emissions data are compiled from many different organizations, including industry and state, tribal and local agencies. Some emissions data are based on actual measurements while others are estimates. 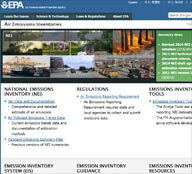 For more information please visit the Air Emissions Inventories website . EPA provides a daily AQI forecast so people can take action to protect their health. Shown is the current AQI forecast for PM and ozone combined. This map and others can be found at the AirNow website . The Regional Haze Rule, published in 1999, requires states to identify the most effective means of preserving conditions in Class I areas when visibility is at its best (based on the 20% best or cleanest visibility days monitored) and to gradually improve visibility when it is most impaired (based on the 20% worst visibility days monitored). Problems caused by regional air pollution can occur in many of our best known natural parks, such as the Grand Canyon, Yosemite, Yellowstone, Mount Rainier, Shenandoah, the Great Smokies, Acadia, and the Everglades as well as treasured wilderness areas such as the Okefenokee National Wildlife Refuge and Gila Wilderness areas. Efforts like the Regional Haze Rule have been significant in improving visibility in these special places. Map of USA depicting either no trend or significant improving visibility trends at the majority of the 155 national parks and wilderness areas monitored on 20% haziest days. EPA frequently relies on modeling studies to supplement air toxic monitoring data. One such modeling study, the National Air Toxics Assessment (NATA), is a nationwide study of ambient levels, inhalation exposures, and health risks associated with toxic air pollutant emissions. While NATA cannot be used to directly define trends, it does put ambient levels in context to appropriate health endpoints. To learn more please visit the NATA website .